Crashtape is an extra strong adhesive tape that you stick on the top of your racket head to protect your racket from damage that occurs during contact with the wall. Crashtape not only ensures that you do not get scratches on your racket, but also reduces the risk of breakage because the crashtape catches part of the blow. 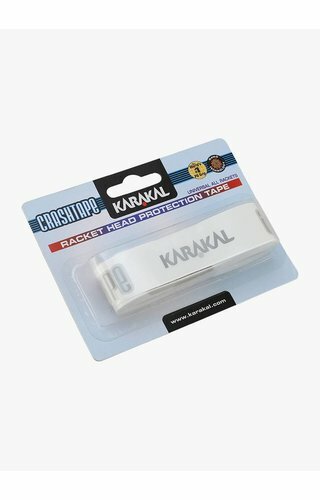 Crashtape sticks extremely well and you can apply it directly to your racket without any preparation. You can easily remove the tape without leaving any traces of the crashtape on your racket. The crashtapes sold at Squashpoint have been specially developed for squash rackets. The width of the tape is exactly as large that it falls over the bumper and a small part of the frame. Protect your racket with this strong crashtape. This wide and sturdy crashtape offers optimal protection for your racket.